Having recently completed my PhD by publication, titled Measuring the Patient Experience of Hospital Quality of Care, I thought it may be useful to share my personal reflections on some of the challenges throughout my learning journey – I know I was reassured to realise others had a similar experience. 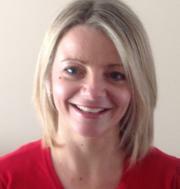 I am a lecturer and nurse in the Faculty of Health Sciences and Sport and completed my PhD part-time. Having now completed the PhD I can see a huge change in how I think and analyse. I can see that my desire to ‘make a difference’ was fuelled by my clinical experience from patient stories and my understanding of the context of working within complex hospital systems. I realised that learning throughout the PhD was a very different process to my other learning experiences. As a mature student, and an experienced practitioner, I knew my philosophy of learning was constructivism; learning by doing had served me well so far (Thomas 2007). However, being used to knowing the territory and being confident in my abilities in practice was not transferable to academia. My ‘starter/finisher’ approach also presented me with challenges. The PhD was not linear and I often felt in a space somewhere between the known and unknown. As I grappled with differences between my ontology and epistemology of the research, I came to realise that both were developing at different rates and, sometimes, in different directions. There was a conflict between my epistemology of thinking and conceptualising and my previous constructivist way of knowing and learning. The latter fitting nicely with progress, achieving targets and project management, but at odds with the complexity of PhD learning. I was relieved to discover that internal conflicting thoughts are common throughout doctoral work (Batchelor and Napoli 2006). A feeling of insecurity generated by my lack of research knowledge was compounded by different feedback from different types of supervisors, uncertainty around what constituted a PhD by publication and harsh feedback from journal reviewers. All of these situations transformed into positive factors as I became more comfortable in what I knew, and even more comfortable with not knowing. What was once interpreted as conflicting supervisory feedback came to be viewed as a gift; acknowledging the value of many differing opinions and perspectives, and being able to choose aspects of all to strengthen my work. Similarly, journal reviewers’ feedback was used as a mechanism for learning and improvement, with an opportunity for my work to be critiqued by international experts. 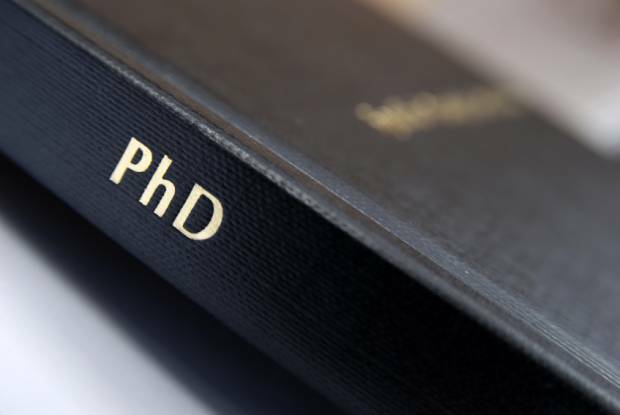 I became comfortable with the debates on what constitutes a PhD by publication, by accepting that there was no one ‘right’ way and I had an opportunity to create yet another unique example. The realisation that, if there are any absolute truths, rights or givens, they are few and far between, difficult to find and even harder to recognise when found, is a fundamental part of doctoral development (Blass et al 2012). I have not found one yet. A very frustrating repeated stage was ‘getting stuck’. I was often paralysed by seeking perfection, with the desire to own and make my own this new knowledge. Conducting a PhD part-time created a constant battle to create ‘thinking time.’ This was not a battle imposed by any external influences, but my own battle to accept that ‘thinking’ was as important, if not more so, than the ‘doing’ tasks, such as application for ethics, literature review, writing papers. In fact the space for incubating thoughts was an essential stage for development and subsequent progress. Whilst I have learnt numerous aspects of research, my ‘aha’ phase was developing the ability to articulate what I did know with a confident academic voice and perceiving what I did not know as an exciting and ongoing place to be. I am looking forward to using my academic voice in the continued pursuit of improving the patient experience of quality of healthcare.